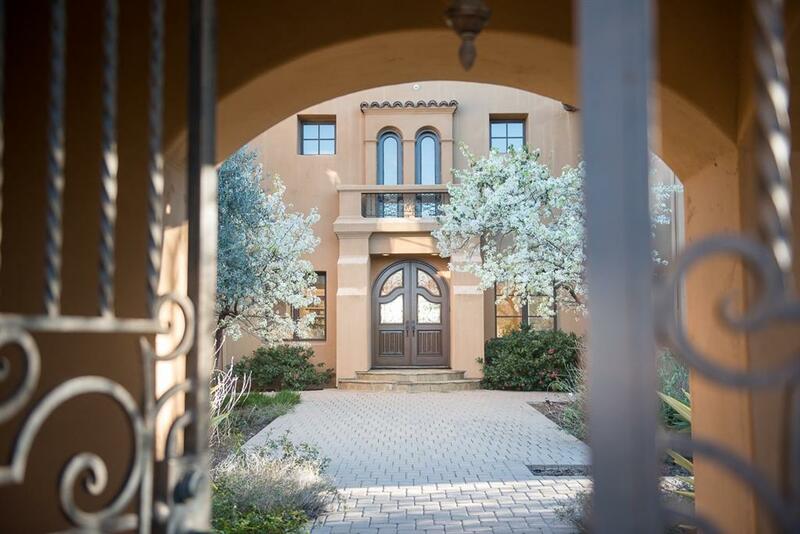 VIDEO @ vimeo.com/317546180 This Custom Del Mar Mesa Estate is the epitome of indoor-outdoor Luxury Living! Open floorplan w/ disappearing glass walls, beveled travertine flooring, covered loggias & outdoor dining pavilion, and a phenomenal backyard OASIS! 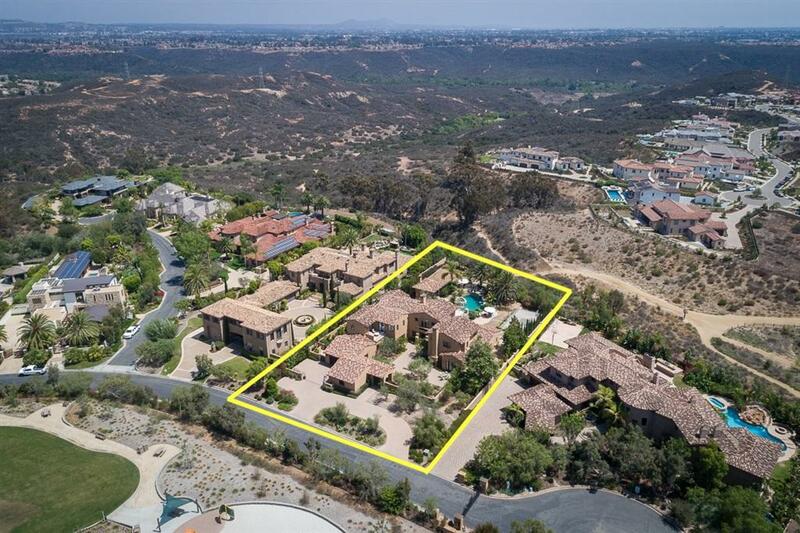 Resort-style pool/spa w/waterslide, sports court, bocce/horseshoe pit, firepit, and views to Los Penasquitos Preserve. Gourmet kitchen w/ professional grade appliances, master suite w/ pano views, home office, bonus/media room & attached guest casita. 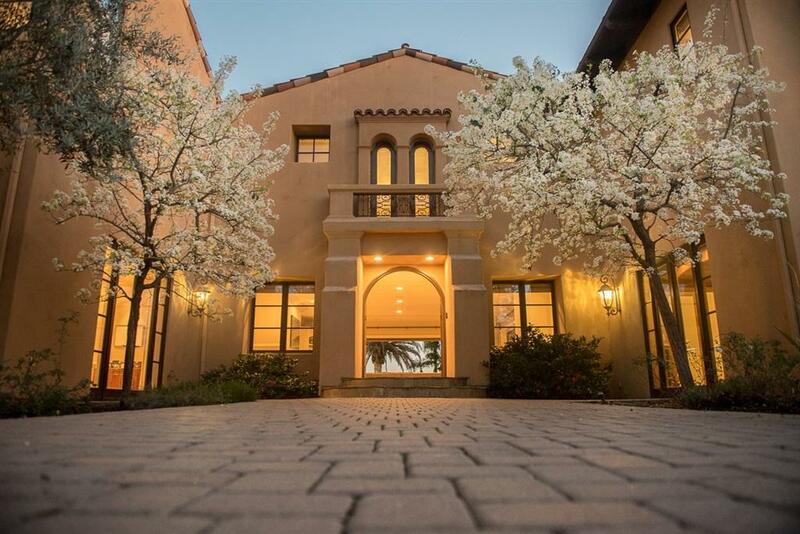 This estate has an incredible amount of features to boast about. The unique 26x26 foot great room is highlighted by walls of glass that seamlessly slide into the wall, and create the perfect blend of indoor-outdoor living. The massive kitchen offers a huge center island, granite counters, dual dishwashers, and Viking stainless steel appliances. Great layout with two bedrooms downstairs, four bedrooms up, and an attached Guest Casita on the lower level. 4 car garage with mudroom entry, and two laundry rooms (one upstairs, and the other down). Home office with wood paneling and box-beamed ceiling. All secondary rooms are spacious, and include individual bathrooms and walk-in closets. The backyard is a residential Disneyland featuring the resort-styled pool/spa (12Ã¢â‚¬â„¢ deep), waterslide, waterfall, huge lawn for kids/pets to play, lighted sportscourt, and side yard with horseshow pit/bocce court. AMAZING LOCATION! Duck Pond is adjacent to the Los Pensasquitos Preserve offering miles and miles of hiking/biking/equestrian trails, and is truly an amazing place to explore. Close proximity to all: shopping, dining, beach, and the new Del Mar Mesa Community Park (Elizabeth S. Rabbitt Park) was recently completed and in our own backyard. Cross Streets Carmel Mountain / Del Vino Ct.